I wanted to show you one of my favorite places in the whole world, the Tallahassee Museum. It's a quiet, peaceful little spot under the oaks, with exhibits on native wildlife and local history. I've visited hundreds of times (I've been going there since I was born), and my most recent visit was Wednesday, at my lunch hour, when I walked around and took these pictures. 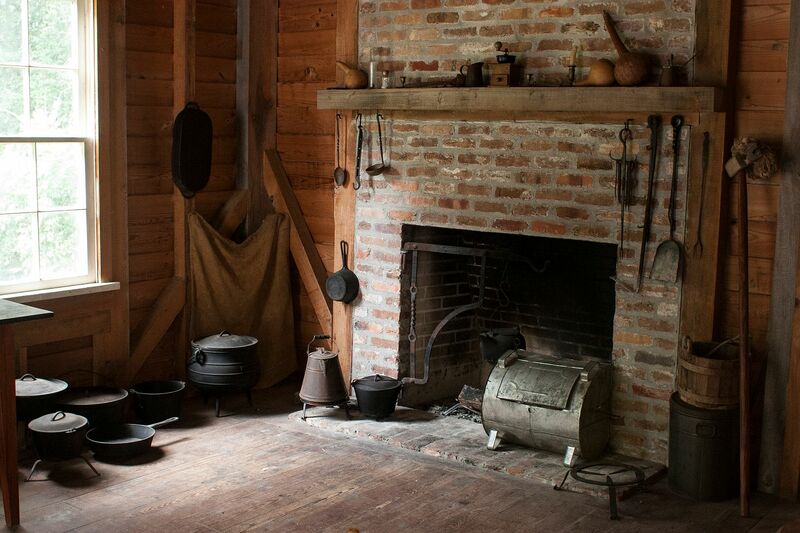 One corner of the museum is devoted to the Big Bend Farm exhibit, which re-creates life on a small North Florida farm in the 1880s. There are gentle farm animals in attendance--a horse, a pig, a cow, goats, sheep, chickens, and geese--and lots of placid, silvery old log buildings, which were moved to the museum in the 1960s from all around the Big Bend area. The old farmhouse, the McNair-Black House, actually belonged to the family of my office mate, Alana. She told me one day, "You know the McNair-Black House out at the Tallahassee Museum? Well, that was my great-granny's house once upon a time. Granny gave it away in the '60s because she wasn't living in it anymore. She had a new house and the old one was just sitting in the backyard, falling apart, so she said to the museum people, 'Come and get it.' Mommy was about 10 then and she was upset because she liked to play in it. It was always Mommy's playhouse." Well, I just thought that was the neatest story. The McNair-Black House has always been a place of fascination for me, with its big, silvery porches, wood-shingled roof, and chimney made of sticks cemented together with red clay. When I was a little girl, museum volunteers used to decorate the place for Christmas, with garlands of cedar and pine . . . and candles . . . and a tree festooned with popcorn strings. To me, there was nothing more delightful than that house in December, when a fire crackled in the fireplace and a volunteer in calico baking sugar cookies brought the long-quiet kitchen back to life. Next to the house, a big garden grows, surrounded by a lichen-studded split-rail fence. Volunteers do all the planting. There are rows of corn and sugar cane and herbs and old-fashioned flowers. When I was a kid, volunteers used to harvest the sugar cane and grind it into syrup one day each fall. A mule would walk round and round pulling the sugar cane grinder, and pretty soon there'd be a huge pot of syrup boiling in the syrup shed. The farm sits in a little clearing, but most of the museum's 50 acres are wooded, with an elevated boardwalk winding through the trees. If you take the boardwalk, you can see the museum's wildlife exhibits. 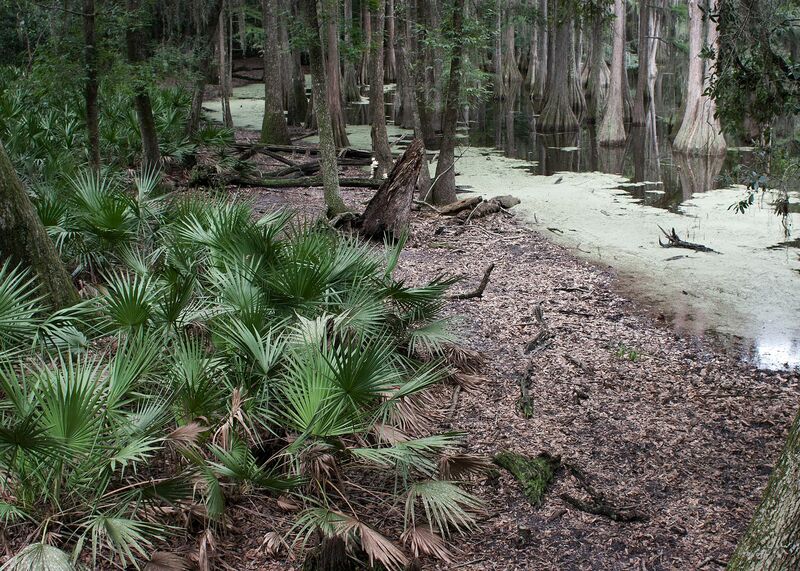 About a dozen native Florida species are housed in large, well-vegetated enclosures, bits of their natural habitat. Bobcats doze in the live oaks, on cushions of ferns, and wild turkeys strut about under the sparkleberries and tents of wild grape. There are black bears clowning around, and alligators basking in the sun on the shore of Lake Bradford. I always like to see the Florida panthers (the museum houses two), such icons, living symbols of our state. On Wednesday I got to watch the female standing on her hind legs, scratching a big water oak tree. Then she lay down on the sandy ground and looked at me and yawned several times. I nodded to her, and then I just stood there, leaning on the boardwalk's railing, a foolish human, one of many. I glanced at a sign with some facts about panthers. There are only about a hundred, it said, still left in the wild. The boardwalk meanders through woods and cypress swamp. On my way out, I stopped by Bellevue, the museum's oldest building, constructed in the 1830s. It was once the home of Princess Catherine Willis Gray Murat, great-grandniece of George Washington and widow of Achille Murat, a nephew of Napoleon Bonaparte. When Princess Murat lived at Bellevue, in the 1850s and '60s, it was surrounded by 520 acres of cotton. 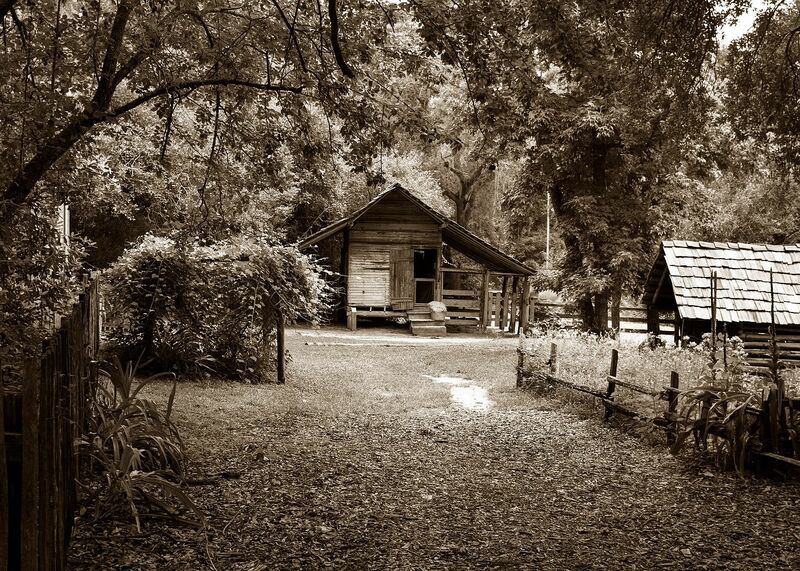 It used to stand near Jackson Bluff Road, in Tallahassee, but was moved to the museum in 1967. I've seen pictures of the house in its original location, terrifically dilapidated, with an enormous colony of Atamasco lilies—filmy, ghostly—blooming in the front yard. There were dogwoods blooming, too, that day the pictures were taken. I wonder what's there now. What a wonderful place to visit. No wonder you love it. 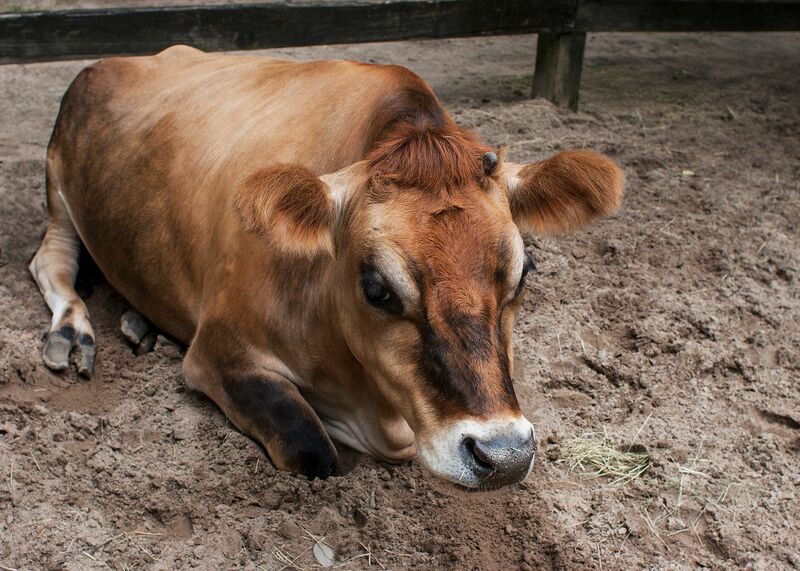 I love the way you did some of your photos in sepia, I love that beautiful cow. Thank you for sharing this lovely old place of history. That's very cool to know the family the buildings came from. :) Beautiful photos - I just love old buildings so rich with a life full of stories. What a terrific post. I love hearing about all of the historical places in your area. Keep 'em comin'! What a wonderful series of photographs! Looks like my kind of place. I'm so glad to see that they've preserved a piece of the past in north rural Florida. Sounds like a great place to take children. 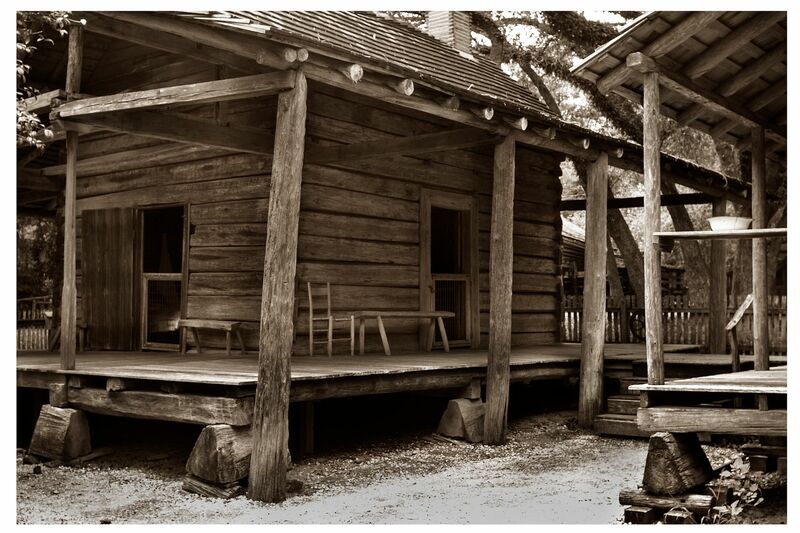 I love the smell of old cabins and long to have a retreat like that ... to be alone where no one can disappoint....with some bacon and corn bread (CANE SIRUP),some greens,wildflowers,and a worn quilt and a rocker.to look up in the sky with no lights....we had a fl panther in our yard a few months ago.I used to have some cane sirup in my fridge until a few years ago. I meant to say sorghum.. I am just fascinated by anything historical. 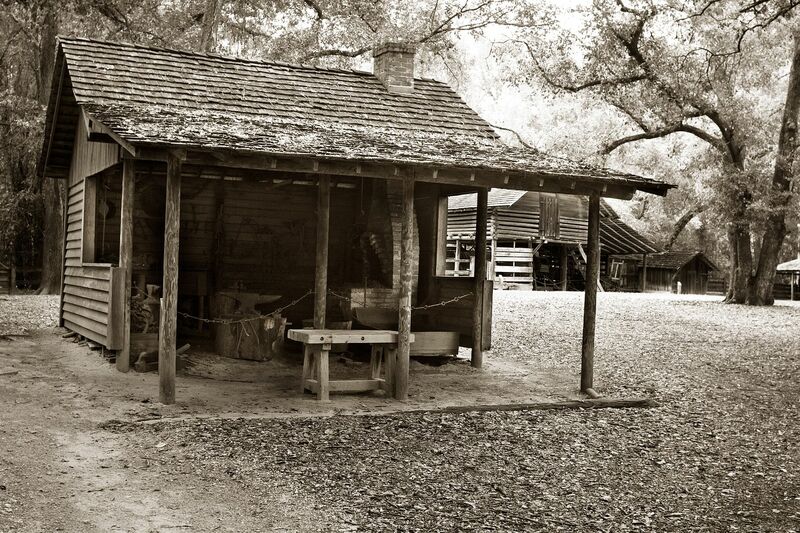 The photo of the farmhouse is just lovely and it really does make you think about how simply folks lived their lives back then, compared to the mad dash of modern society and a t.v. in every bedroom. If I was within walking distance of that site, I would probably be there at least once a week. I love the view from the boardwalk too. What a great post! It is so good to see that these old houses are preserved as it is.